Our offered Jumbo Case Holder is highly demanded due its high strength and rust proof nature. - To hold cases secure, while opening waterproof case backs. 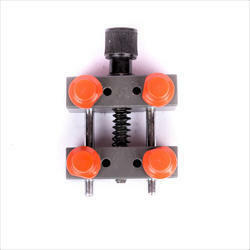 - For casing & uncasing movements, loosening screws, etc. We are engaged in offering Watch Case Holders for holding tweezers. Fabricated using Stainless Steel, the Watch Case Holders offered by us are high on demand in the national and international markets. Clients can avail the same at most reasonable prices and in different sizes. We are one of the most reliable companies in this domain and are into offering Case Holder Wheel. We offer our clients with Rolex Opener with Holder that are available in various sizes. - One has a deep-domed bottom, adjustable from 30mm to 45mm, suitable for domed-glass watches. Our company provide best quality products in market in low price rate. 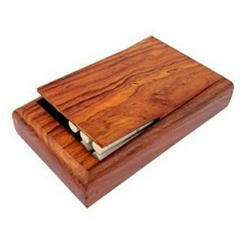 Wooden Watch Case Holder provided by us is highly demanded by various watch making industries. We are manufacturing high quality products of Watch case holder. We are the leading manufacturer and supplier of watch case holder , and we believe to provide best quality to our customers..